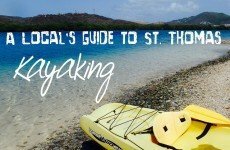 A fun and unique multi-eco experience awaits you with a kayaking, hiking, and snorkeling tour in St Thomas' unique Mangrove Lagoon Wildlife Sanctuary & Marine Reserve. Kayak among the many small islands of the protected Mangrove Lagoon. 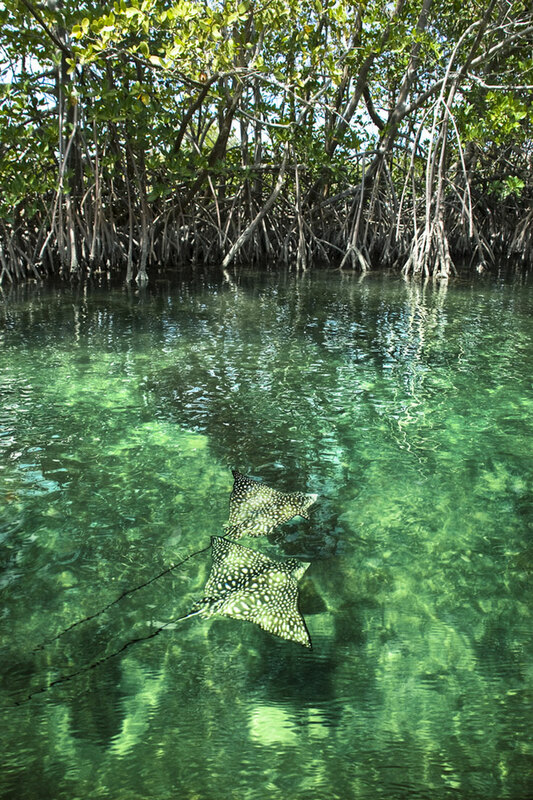 Learn why the Mangrove ecosystem plays a crucial role in protecting healthy offshore coral reefs and local bird and reef fish populations. At Cas Cay, enjoy a hermit crab race and a hike to tidal pools, volcanic cliffs, and a visit to the rare geologic blow hole for a scenic photo opportunity. Hike the pristine, deserted 15-acre island of Cas Cay, which is part of the Virgin Islands Park System. 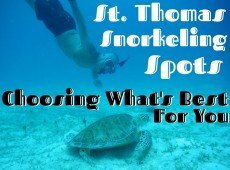 Enjoy the many breathtaking views from the coral and shell laden beaches, and snorkel a coral-fringed mangrove nursery with an easy beach entry in the clear, protected waters. 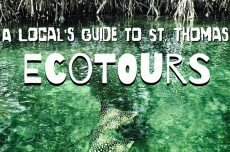 This award-winning ecotour features experienced nature guides and fun for the entire family. 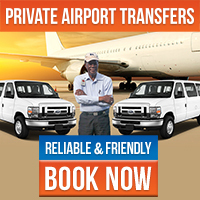 No ecotour or adventure experience is necessary. Our sit-on-top kayaks accommodate two people and are easy to paddle. Our guides also offer snorkeling instruction, point out the marine life, and interpret the diverse mangrove ecosystem. A photographer will take pictures of the tour. Entire collection of photos available on a CD for $45. Includes an additional CD with “Best of” pictures collected over the past decade.